My massage training was with the Academy of Natural Health based in Neals Yard, Covent Garden, London. I qualified in Holistic Massage, Anatomy and Physiology with both MTI and ITEC in May 2000 and am an MTI Registered Practitioner. I have worked with a wide range of clients and conditions in private practice in London, Newark and Sheffield. During my time in London, I worked at Phoenix House, a residential care centre helping substance abusers rebuild their lives. Massage was introduced to support the recovery programme and proved very beneficial. Recently, I have been in Sarajevo with the charity Healing Hands Network working with those still suffering from the aftermath of the Bosnian War. Experience included treating conditions from spondylitis (spinal inflammation), diabetes, and heart problems to PTSD (Post Traumatic Stress Disorder). I have now been to Sarajevo 3 times and found it a very humbling and rewarding experience. (see article NEWS). The birth of my daughter (now 14 years old), introduced me to infant massage. I am a qualified infant massage instructor and have specific expertise for massage in pregnancy. 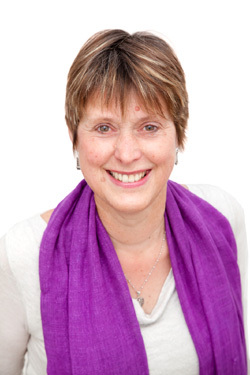 To quote one of my regular clients who travels in from the Peak District "I have found Lesley to be a really skilled and sensitive massage practitioner, helping keep my early-stage arthritis at bay. Her calm and professional approach makes the whole process very relaxing too."